Are you trying to develop a strategy of the transportation for a gas tank to Vladivostok, Khabarovsk, Magadan, Nakhodka, Petropavlovsk-Kamchatsky and to other cities in the Far East of Russia? Are you searching for the way how to escape the trap of skyrocketing prices for the transportation offered by transport companies? Solution does exist. This piece of news is devoted to it. It’s true that today the problem of «Antonio Merloni Cylinders Ghergo Group S.p.А.» vertical gas tanks transportation to the cities which are remote from Moscow to the distance more than 3000 km is really pressing. Delivery comes at very high cost – the price can be compared with the price for the gas storage cistern itself. Very often it puts a gate down on the way to the independent gasification by means of high quality Italian gas tanks. 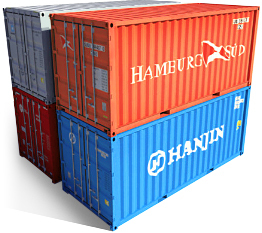 Solution can be found after you carefully examine the question of transportation by 40 feet containers which became quit popular last days because of big capacity, high reliability, and the possibility to deliver by railway, highway, water and other kinds of transportation. Such container can hold up to 4 vertical gas tanks with the capacity of 1650L. Let’s trace a way of 40 feet container through the example of the shipment from Vladivostok (one of the biggest cities of the Far East) to Moscow. Containers which arrive to Vladivostok on ships are “picked up” by trucks and carried to Moscow for unloading. The way back the cisterns go empty. Here there is a key for solution – container which comes back to Vladivostok empty can easily contain gas tanks with the volume of 1650 L (cisterns with the volumes of 2250 and 5000 L cannot be fit in a container). Settled with a driver you can save on delivery till 90% from the price which is usually asked by a transport company. This solution, ideal from the point of view of budget saving, was used by one of our clients – delivery of the cistern to Vladivostok cost him only 30 000 rubles. To compare: if you send a truck to Vladivostok it will cost 300 000 – 320 000 rubles (20 days on the way: 10 days one way and 10 days back). 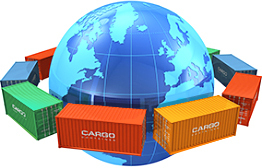 Container shipping can be efficiency and reasonably used in transportation of gas tanks with small volumes to the cities of Russian Federation, which are remote to the considerable distance from Moscow. If you need a cistern of big volume it’s better to take several gas tanks of small volumes (1650L, 1000L; to make cascade connection in the future) and deliver them in 40 feet container. Such way of transportation can be realized thanks to the web sites which allow to trace transport movements. On such kind of sources you can find a city of departure and a city of destination as well as contacts of a driver. Also you can find there exact dates when the driver is ready to pick up your goods on his way back after the main delivery to the capital i.e. to make a little money for a token for such distance payment. This is an excellent alternative for a client who wishes to deliver a gas tank to his town at low price as well as for a driver whose truck, in bad case, will be coming back from Moscow empty. Everything flows, everything changes …. Previously there was usually left a paper with sign “Empty” on the wind screen, now there are special web sites exist: a driver tells about his traffic route and waits for the proposals to deliver and make some money on his way back. So, you can transport gas tanks to the cities on the Far East of Russia at low cost without spending the same amount for delivery as when you buy a gas tank itself. The distance is not a problem: the main thing is a quality. A track with gas tanks had an accident.